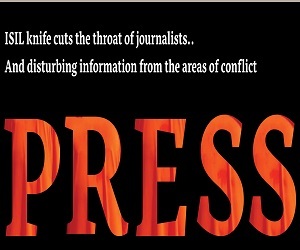 June, 17, 2008 / Journalistic freedoms observatory denounces the killing of Muhyee Aldeen Abdul Hameed al-Nakeeb on Tuesday morning in the northern city of Mosul by unknown armed groups. Activists work with the observatory in Ninevah province said that Iraqi media network announcer al-Nakeeb was shot dead, Tuesday, in front of his house in al-Hai al-Zeraee north of Mosul by an unknown armed group. Iraqi police told the media outlets that al-Nakeeb was killed near his home while going to work, the killers driving a saloon car shot him dead in his head and immediately died. Al-Nakeeb, 50, worked as a presenter of many religious and cultural programs in Nineva h local TV and broadcast stations attached to the Iraq media network. He left a widow and many kids. Despite the fact that Iraqi security forces are conducting law impose plan campaign in the province of Ninevah named (um al-Rabeean) targeting the strongholds of al-Qaida organization in the North West of Iraq, yet it did not help stopping threatening and killing the journalists. Programs' manager in Ninevah TV Sameer Slooga told the journalistic freedoms observatory that his colleague has received many threats from the terrorists. 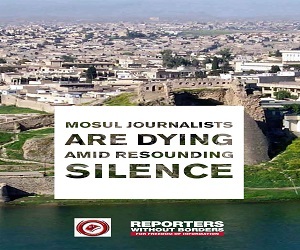 According to the authenticated incidents and aggressions against the journalists in Iraq made by the journalistic freedoms observatory and its partner organization "Reporters Without Borders ", Mosul is regarded as the 2nd dangerous city for the journalists after Baghdad. The city witnessed last month the killing of Sarwa Abdul Wahab who worked for many local newspapers; armed group shot her dead. By the killing of al-Nakeeb, the number of the journalists killed in Iraq since the American invasion to Iraq in 2003 rose to 238 Iraqi and foreign journalists; 130 of them killed due to their journalistic work, 52 technicians and assistants, whereas some cases of criminal acts were still ambiguous. 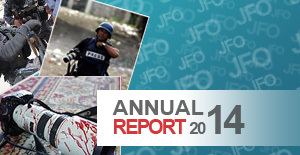 64 journalists were kidnapped, many of them were killed and 14 of them are still missing, according to the statistics of the journalistic freedom s observatory. The journalistic freedoms observatory extends its deep and sincere condolences to the family of al-Nakeeb and his colleagues in the Iraqi media network, and asks the leadership of Mosul operations to open prompt investigation to know the details of the security infiltration that led to the killing of our colleague and to chase the criminals who targeted him. translated in cooperation with the organization of "Reporters Without Borders".